Kosher Sorbet by DNA Genetics is a feminized cannabis seed that comes from the crossing of the cup winner Kosher Kush with a Sorbet. The result is a hybrid aimed at success, a Kosher variant ideal for fans of the Kush. This Indica dominant hybrid produces medium-sized plants, despite which the yields are impressively heavy. It's easy to cultivate, with a good disease and pest resistance, and it does not need high nutrient doses to deliver its maximum production. 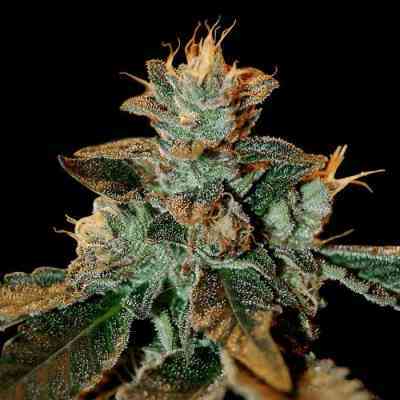 Kosher Kush produces hard, compact and resin covered buds that can be harvested indoors after 9 weeks of flowering. Kosher Sorbet has everything it takes to be a champion. Thanks to its Indica inheritance, the Kosher Sorbet offers an effect that helps those with insomnia, anxiety and chronic pain. The aroma of Kosher Sorbet is sweet and its flavor is intense and creamy. A Kosher delight that can not you miss in your garden!